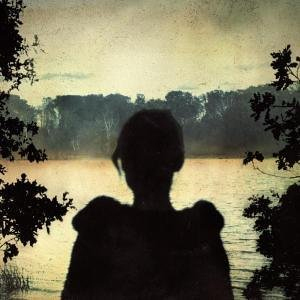 Deadwing makes for another impressive foray into progressive rock by Porcupine Tree, who used their previous effort, In Absentia, as a blueprint to build off for this album. The brooding soundscapes have been replaced with a dreamlike ambiance created through the heavy presence of keyboards, synthesisers and pianos. The metal-esque guitar tones now resemble a driven, rock-orientated sound, while Steven Wilson’s singing remains firmly in their established passive and unstrained style. The rock-centric portion of the album is often mid-paced, while the ambient portion is restrained with steady percussion and subtle bass playing that stops it from drifting into formless soundscape territory. The soft sounding moments are easily recognised on Mellotron Scratch and Glass Arm Shattering as the ambient textures lead them. Many of the songs switch between these styles and because of this, the album rarely stays static. Instead, they opted to create sprawling and imaginative passages with plenty of dynamic changes. The different styles are brought together seamlessly over the course of Deadwing and never feel out of place with one another, which is exemplified with Arriving Somewhere But Not Here. This is Deadwings centrepiece and epitomises the albums sound over its 12 minute duration. The length of the song could seem daunting to some, but it builds up and flows into new passages effortlessly to keep the listener interested and comes to an end before you know it. Deadwing is an excellent introductory album to the current progressive rock scene. It is also a worthy addition to the already lengthy Porcupine Tree catalogue and easily ranks amongst their strongest and most rounded efforts.